Over the past few weeks, there’s been a lot of hyped up discussion about the Lightning Network (LN) from those who believe it will help scale the bitcoin core (BTC) protocol. The Lightning Network topic has now moved from BTC testnet experimentation to trialing LN over the currency’s mainnet using real BTC. LN development and mainnet testing is growing and people are excited about this off-chain scaling feature. However some people are still skeptical as there’s been a few reported bugs, warnings from developers, and discussion of the cost required to create and close the 781 channels currently being used on the network. 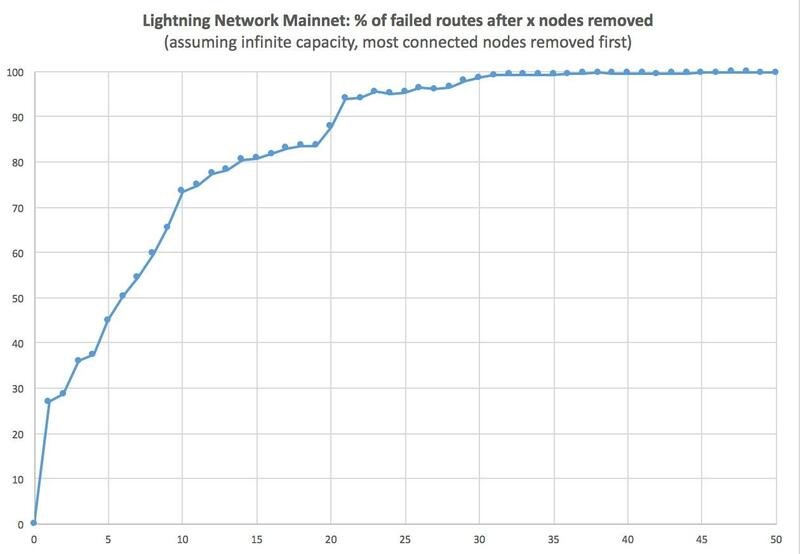 The Lightning Network (LN) is a proposed scaling solution that many hope will help cure the bitcoin core protocol’s transaction congestion and rising fees. The idea is to enable off-chain transactions and micropayments through a peer-to-peer network of bidirectional payment channels. Over the past six months there’s been a lot of LN testing using test-BTC, but lately there’s been a big transition to mainnet experimentation and actual payments using real BTC. Currently, there are 781 mainnet LN channels and 285 nodes all with different names. According to current data, there is 3.635 BTC ($41,689 USD) being used within the network of Lightning channels. There are currently 781 Lightning Network channels on bitcoin core’s mainnet with 3.6 BTC. “We believe that some businesses may be interested in a tradeoff where they get most of the benefits of Lightning, while keeping their integration costs as low as possible,” explains Acinq. This is what Strike is about: add Lightning payments to your business in no time and with as little impact on your operations as possible. An example of Acinq’s Strike API. Another LN product released this week was Jack Mallers Zap wallet beta which adds a host of new features. However, the release is again built for testnet Mallers explains and “Zap will not publish mainnet releases until the developers and greater Lightning Network community are ready.” Although “if you do some self-configuration, you can use Zap on mainnet,” Mallers notes. Jack Mallers released his Zap wallet beta this week. Mallers recommends testnet only. Lightning Labs’ Elizabeth Stark cautions against LN use on mainnet. Lastly, last week there’s been a few reports of LN bugs where one LN developer Rusty Russell experienced a bug and asked, “so, who was first to lose money on Lightning Network bitcoin mainnet?” Russell’s question was answered by another individual who experienced a bug sending a transaction as well. “Happened to my node too,” the person replies. Lightning Labs CTO Olaoluwa Osuntokun also warns against LN use on mainnet. Additionally, with all the hype surrounding the LN protocol being used on mainnet, some developers who work on the protocol are warning people not to use it on the real network. Lightning Labs CTO Olaoluwa Osuntokun has told people not to use LN on mainnet and the company’s co-founder Elizabeth Stark has also cautioned people who were testing LN on mainnet. With a nascent protocol that’s surrounded by a lot of hype, there’s a lot more work to do as far as trial and error on the live network. What do you think about the Lightning Network projects and discussions? Let us know what you think about this subject in the comments below. Images via Shutterstock, Acinq’s Strike GIF, Zap Wallet beta, #Recksplorer, Twitter, and Reddit.